Ahh, I love it, Rashi! 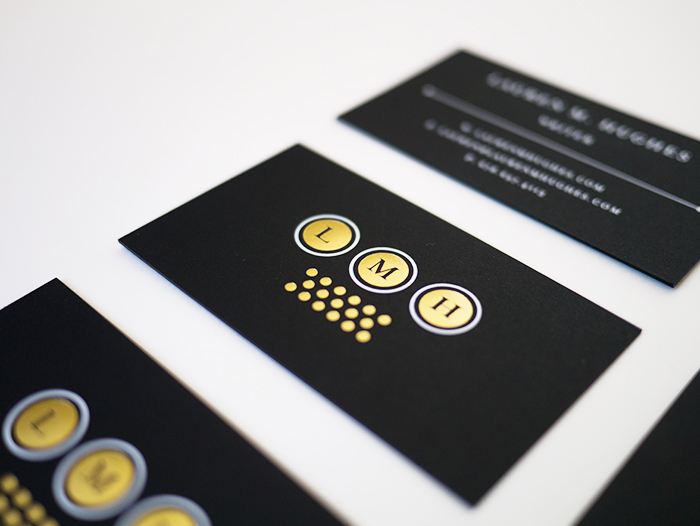 The contrast with the white / gold and black cardstock looks so good! Thanks, Victoria! 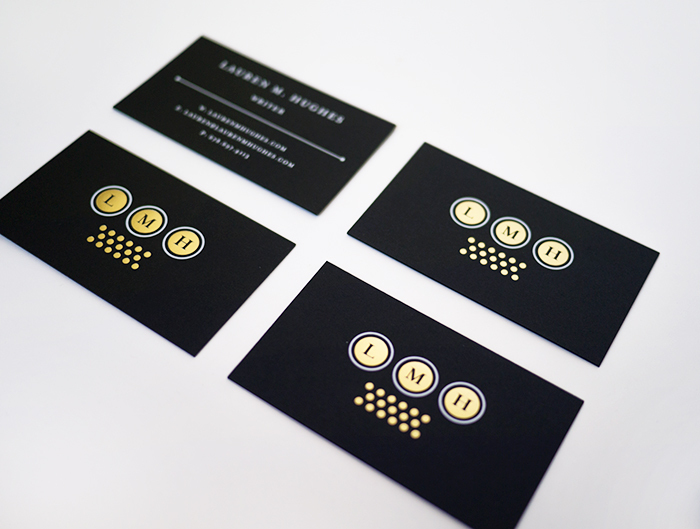 I feel like it always pays off when the client is willing to pull out all the stops with printing. These look amazing! I can’t wait to screen print some fun things with Mama’s Sauce on Friday night for a workshop. You’ve definitely re-inspired me to get in touch with them. Gorgeous as always! The type-write like circles are just darling. So clever! Thank you, Kaitlyn! 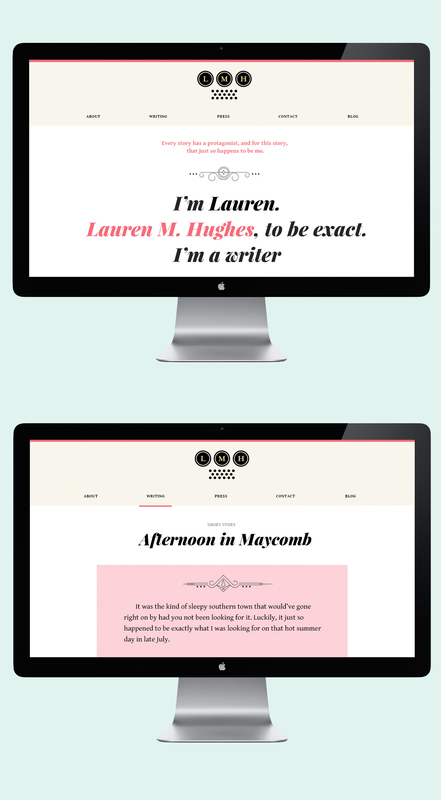 The client inherited a fancy typewriter from her grandfather when she was younger that fostered her love of writing, so it was fun to do a business card that had a dash of nostalgia for the client. Wow, just perfect! The gold and black always look well, but you mastered it! Clean, to the point, beautiful! Great design and color selection! 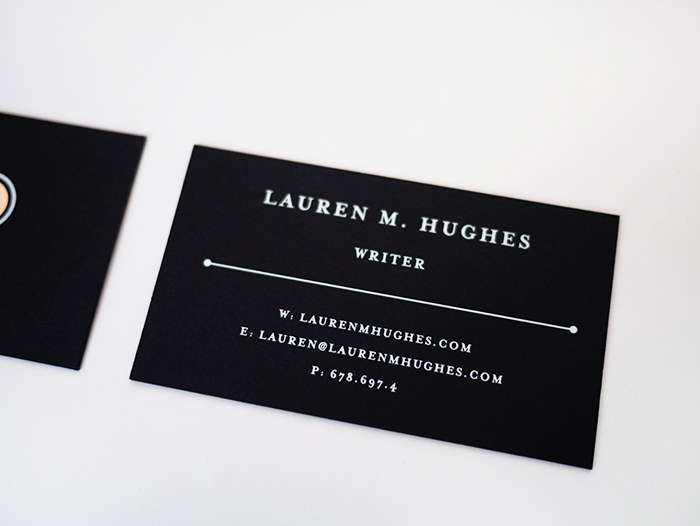 Very creative and simple business cards.